Premier Kathleen Wynne acknowledged a “day of grieving” while in the capital on the same day a police funeral was held for Ottawa police Staff Sgt. Kal Ghadban. “My thoughts are with his family,” Wynne told reporters at the Ottawa Convention Centre, where she was a keynote speaker at the Canada2020 conference. A service for Ghadban, 43, was held at the Beechwood National Memorial Centre. Ghadban, a 22-year veteran, took his own life at police headquarters on Sept. 28, the same day fallen officers were honoured on Parliament Hill. The work of first responders is “extremely stressful. 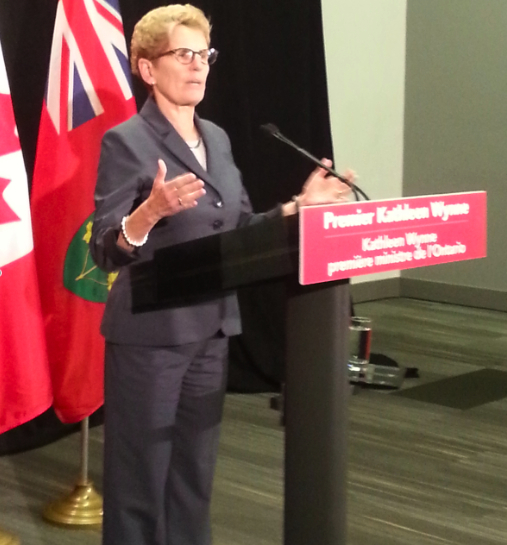 There’s absolutely no doubt about that,” said Wynne. But Wynne danced around addressing suicide rates among first responders — at least 22 deaths have taken place across Canada in the last six months, with five emergency workers taking their own lives in September — according to the Tema Conter Memorial Trust. The SIU is investigating Ghadban’s death. He is believed to have shot himself using his service weapon.